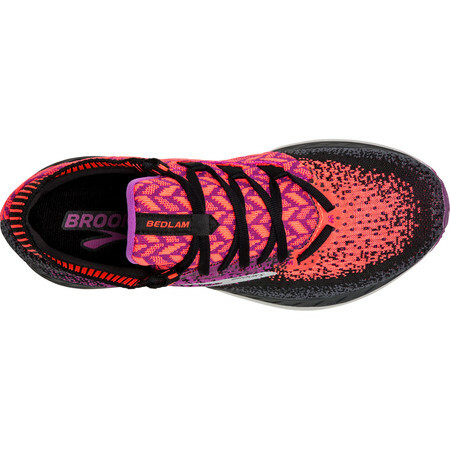 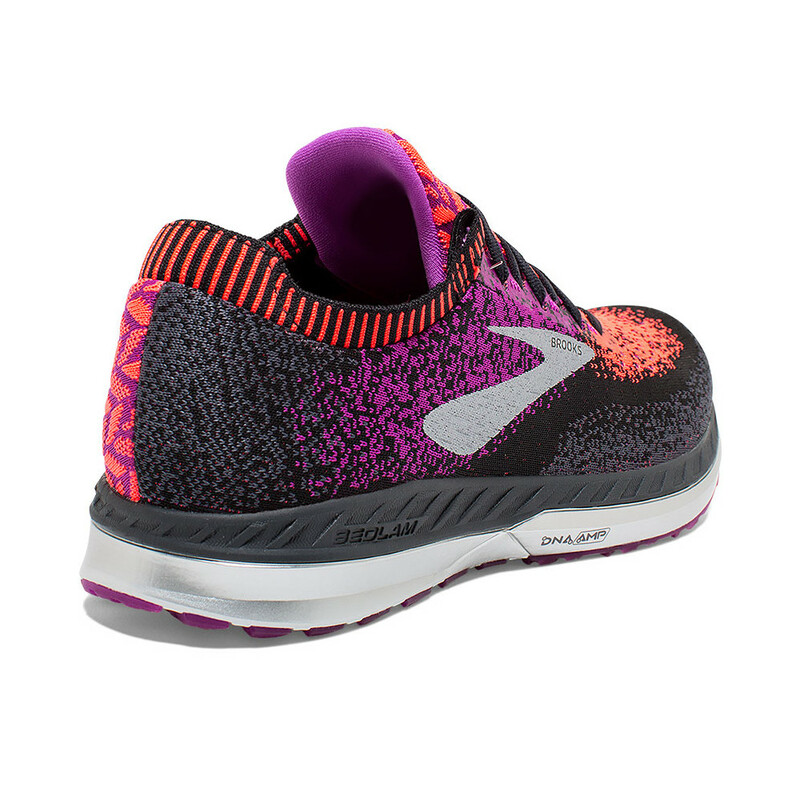 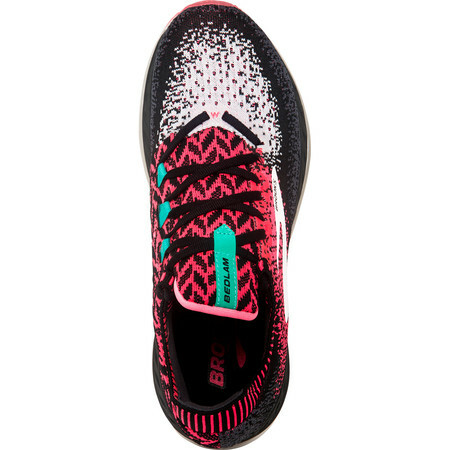 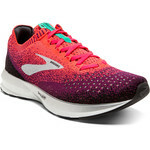 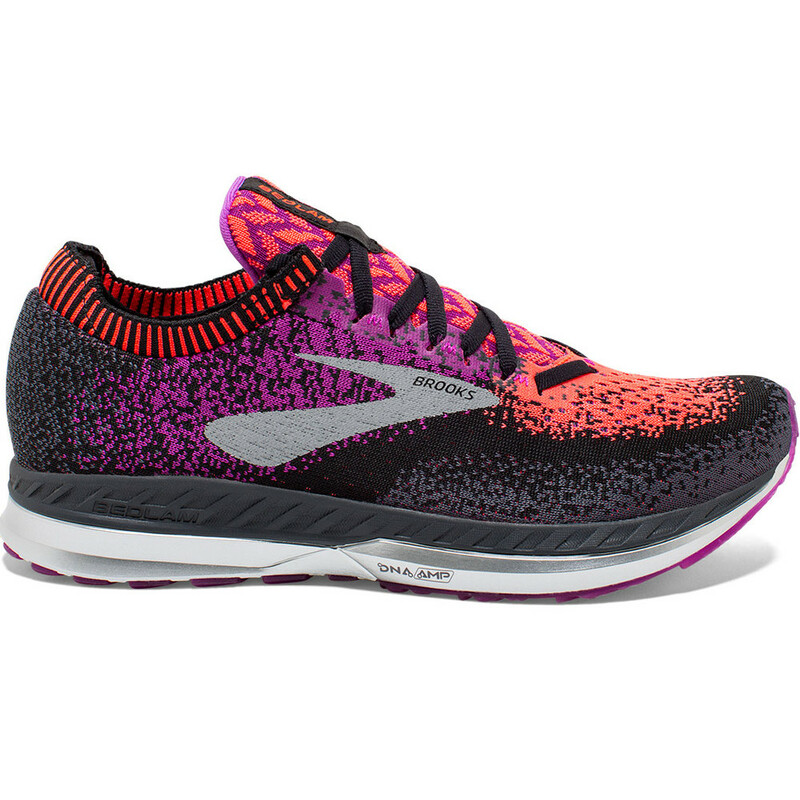 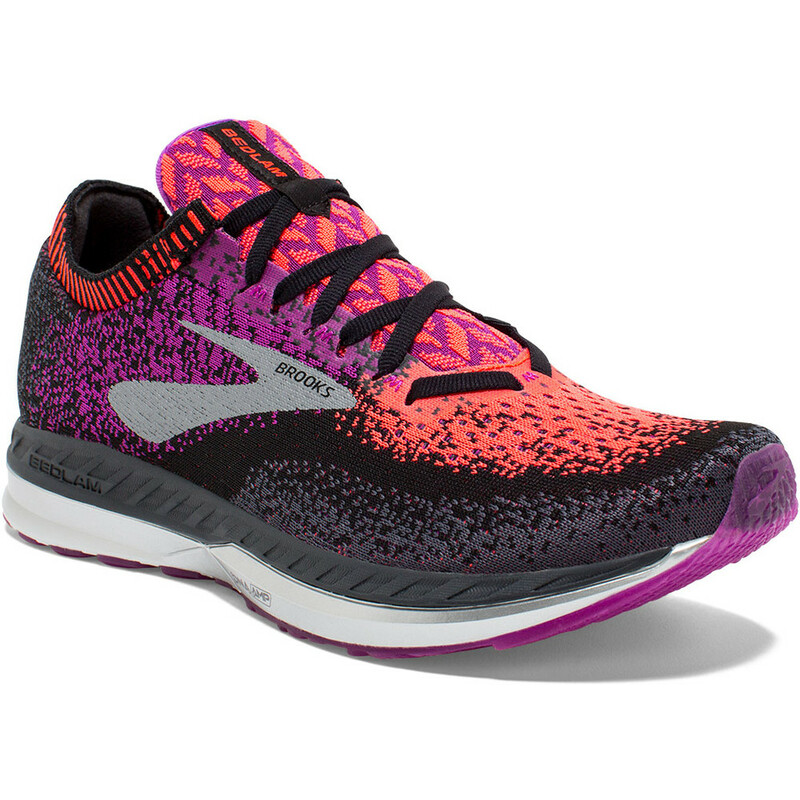 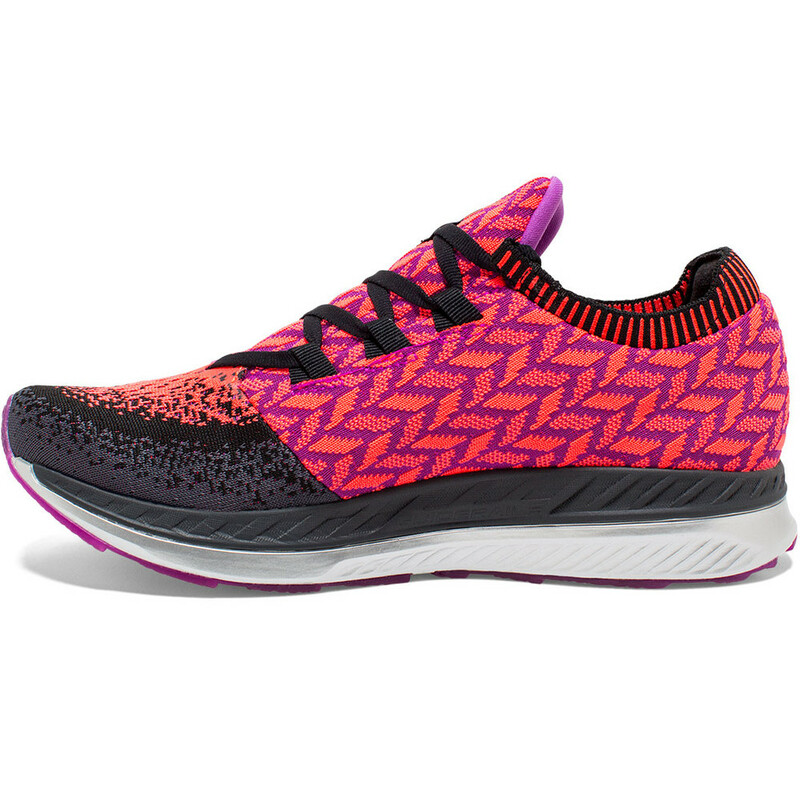 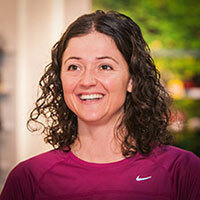 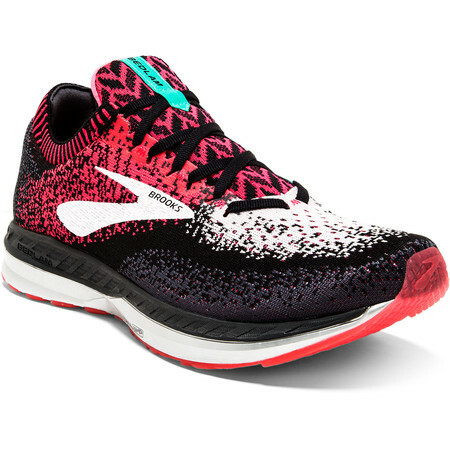 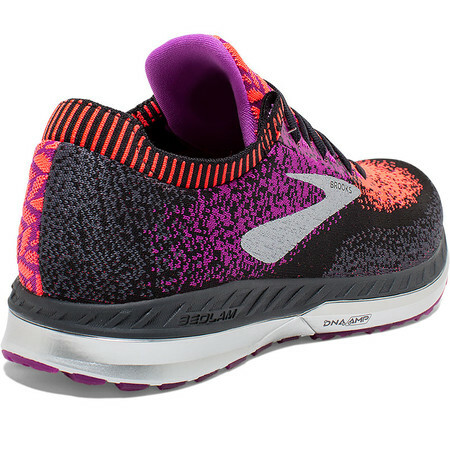 Women's Bedlam is a highly energy returning stability shoe in Brooks’ energize range – essentially a stabilising version of their ground breaking Levitate running shoe. 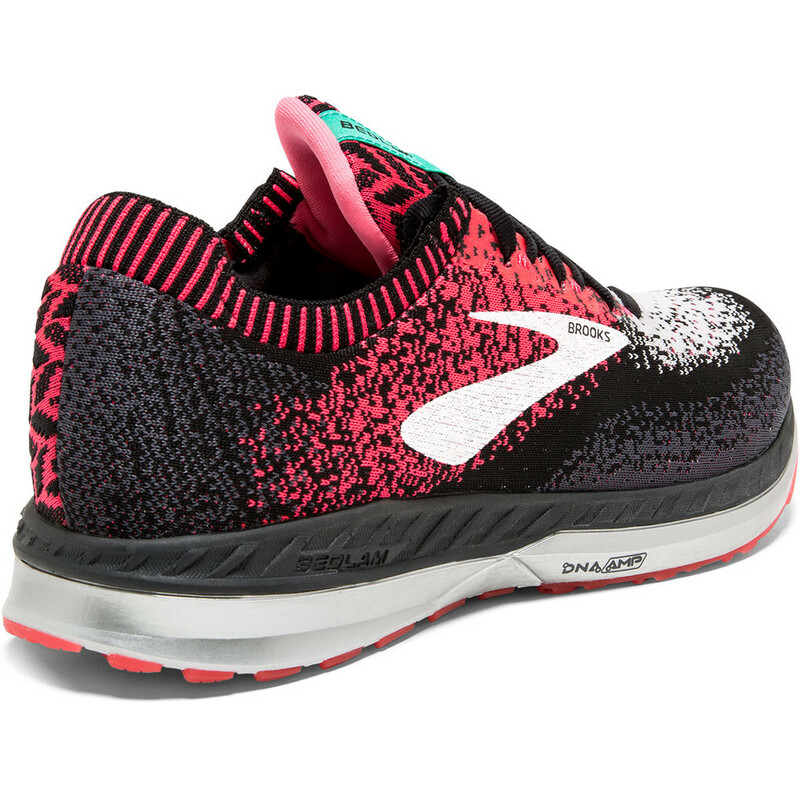 Like Levitate, Bedlam has a DNA Amp midsole made from encapsulated polyurethane that gives you back more of the effort that you put in. The support element comes from the ‘next generation Guide Rails’ which run round outside of the shoe between the midsole and the upper. 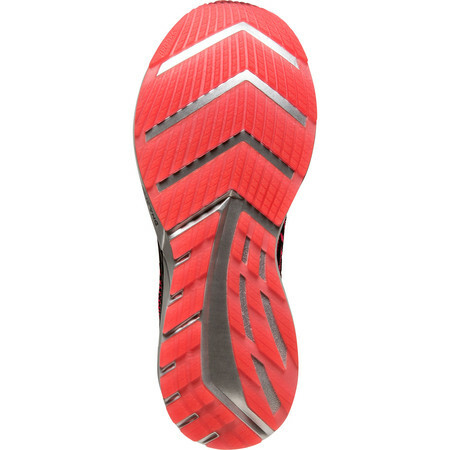 These Guide Rails guide your feet into alignment, reducing heel and shin rotation and keeping knee motion in check. 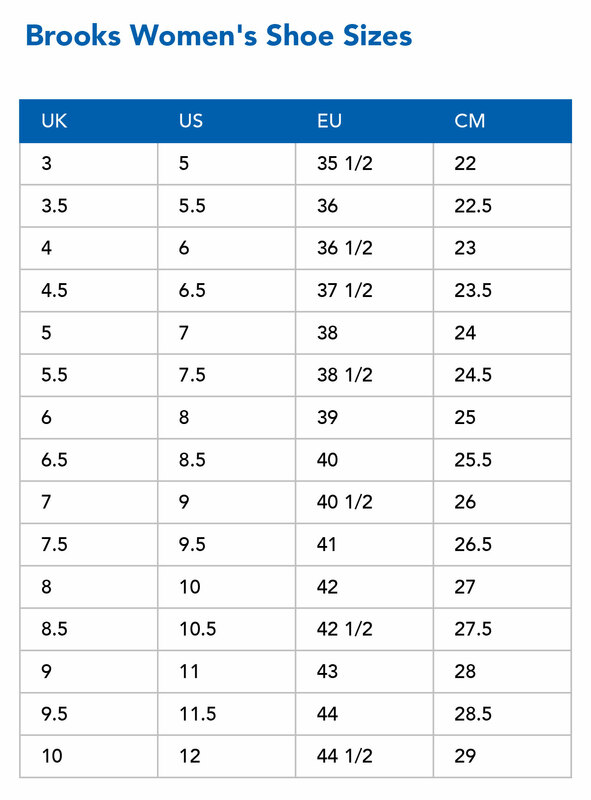 A highly adaptable Fit Knit upper offers a customized fit while a dynamic midfoot wrap on the inside holds the foot securely. 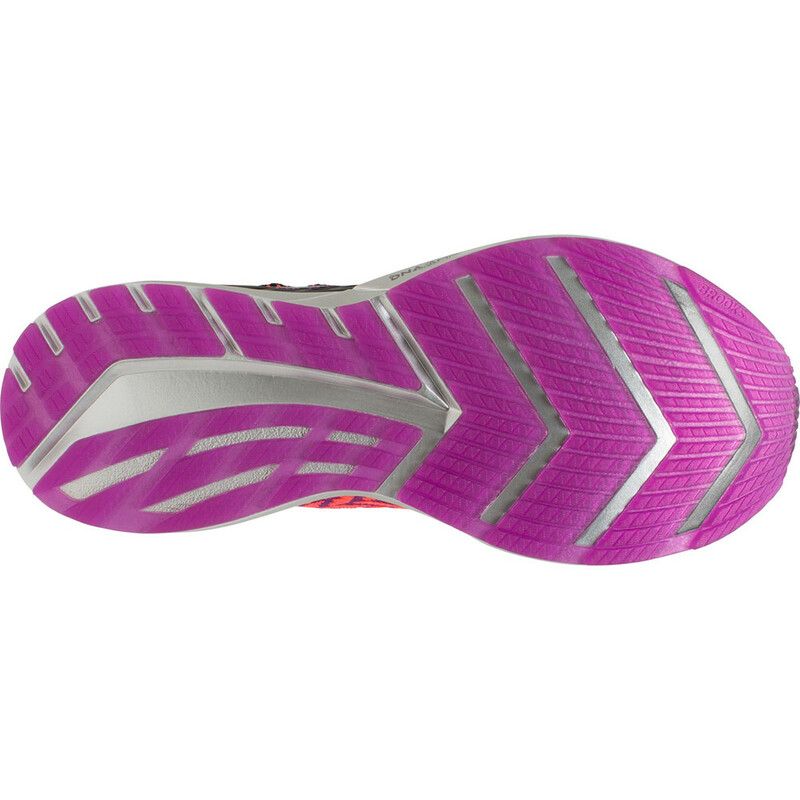 On the inside of the heel, a sueded heel tab protects the achilles from irritation. The crystal rubber outsole provides durability and minimizes slipping in wet conditions. An arrow point Midfoot Transition zone helps you move quickly from heel to toe as you move through the stride. Bedlam is a brilliant, springy road running shoe for the runner who likes a running shoe with a lot of bounce and also needs an element of stability.